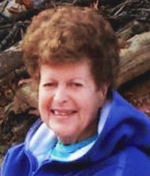 Mary Blanche Pilkerton, age 76 of Loveville, MD passed away on February 7, 2019 at St. Mary’s Hospital. Mary Blanche was born on March 31, 1942 in Leonardtown, MD to the late Mary Louise Long and John Loyal Guy of Loveville. On May 14th, 1960, she married the love of her life, Norman Alexander Pilkerton, Jr, at St. Joseph Catholic Church in Morganza, MD. They were married for 58 years. Mary Blanche was a dedicated and faithful member of St. Joseph Catholic Church. Mary Blanche is survived by her sisters, Mary Lou May of North Carolina, Barbara Montgomery of Mechanicsville, Jean Burch of Charlotte Hall and brother John Loyal Guy, Jr (deceased) of Loveville. She is also survived by her four children, Jeffrey Pilkerton (Sandy) of Loveville, Wayne Pilkerton (Jenny) of Clements, Allan Pilkerton (Nancy) of Mechanicsville and Wanda Jones (Mark) of California MD. As well as her 10 grandchildren and 4 great-grandchildren. Mary Blanche was devoted to her family, as a loving wife, mother, and grandmother. She adored spending time with her family and friends. She enjoyed gardening, cooking, camping and being outdoors. She loved eating Maryland hard crabs. She was a devoted animal lover, particularly with dogs and cats, and had several special dogs over her lifetime, such as Chipper and Buckshot. Mary Blanche was a lifelong resident of St. Mary’s County. She worked for St. Mary’s County Public Schools as a school bus driver and contractor for over 40 years. She enjoyed being a school bus driver and loved spending time with the children. She also worked at Mattingly’s Finer Foods as a cashier for several years. The family will receive friends on Wednesday, February 13, 2019 from 5:00 PM - 8:00 PM with prayers recited at 7:00 PM in the Mattingley Gardiner Funeral Home, Leonardtown, MD. A Mass of Christian Burial will be celebrated on Thursday, February 14, 2019 at 10:00 AM at St. Joseph Catholic Church Morganza, MD with Father Keith Woods officiating. Interment will follow at Charles Memorial Gardens, Leonardtown, MD. Pallbearers will be her grandsons; John Allan Pilkerton, Cody Pilkerton, David Pilkerton, Jeremy Pilkerton, Christopher Jones, Tyler Jones and Adam Ragan. Honorary Pallbearers will be her granddaughters; Amanda Wood, Lexie Pilkerton and Samantha Ragan. To send flowers to the family of Mary Blanche Pilkerton, please visit our Heartfelt Sympathies Store.